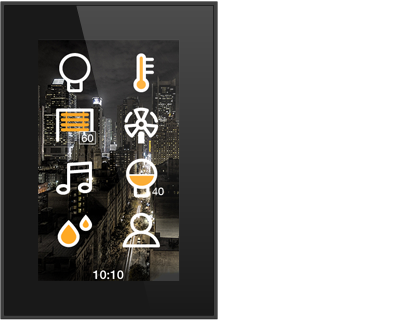 Vertical capacitive touch screen to control and monitor all installation devices by icons on customizable images. The background design, the controls, the icons and the text will be completely editable and can create up to 6 different themes which can be programmed to change automatically when you want. In this way the panel can be fully customized according to the place where it will be installed. 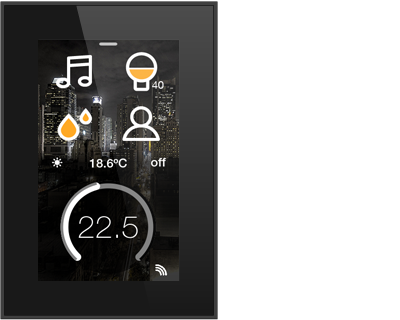 The panel has been designed to show all controls on a single page including 8 controls. However, if necessary it may include up to 32 controls, divided into 4 pages (8 controls per page) whose navigation is done by a simple lateral displacement. It also includes a specific interface for climate control. The ability of the panel to generate a wifi network to allow it to be controlled locally from any iOS or Android device, simply by downloading the official Ingenium applications. It is also full compatible with Google Home for voice control of the smart home installation. 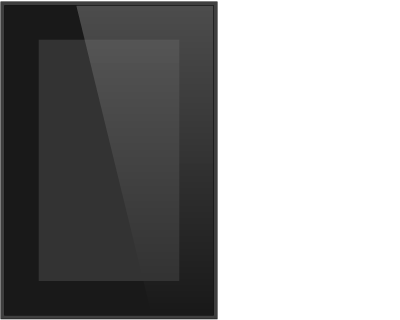 Other interesting features of the new vertical panel is gestural “shortcuts” that allow you to perform default actions with a simple movement while the screen remains in stand-by mode, multilanguage support and security issues such as blocking by numerical code or to restricting the access to the settings menu. This PLUS version expands the capacity of local connectivity to remote/Internet. 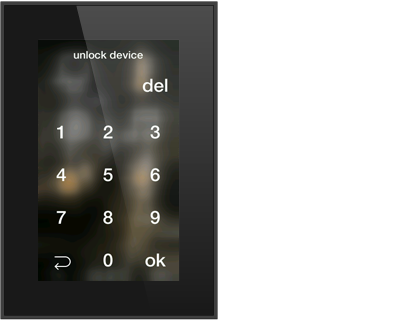 It also has a higher quality display with more contrast and viewing angle.